Pex automatically generates test suites with high code coverage using automated white box analysis. Pex is a Visual Studio add-in for testing .NET Framework applications. Moles supports unit testing by providing isolation by way of detours and stubs. The Moles framework is provided with Pex, or can be installed by itself as a Microsoft Visual Studio add-in. NEW: IntelliTest in Visual Studio 2015 is the evolution of Pex. 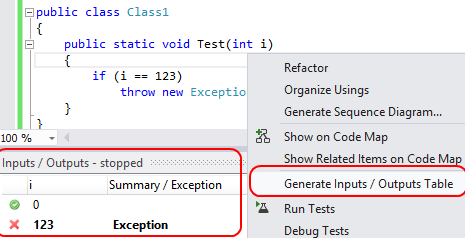 IntelliTest is a feature integrated in Visual Studio Enterprise 2015. IntelliTest works together with Fakes. Download Visual Studio Enterprise 2015 RC with IntelliTest Now! IntelliTest in Visual Studio 2015 is the next generation of Pex. The Fakes Framework in Visual Studio 2012 and 2013 and 2015 is the next generation of Moles & Stubs. Fakes is different from Moles, however, so moving from Moles to Fakes will require some modifications to your code. Moles will not be developed further, so we recommend to migrate to Fakes. Code Digger for Visual Studio 2012 and 2013 is a lightweight version of Pex that allows you to explore public .NET methods in Portable Libraries directly from the code editor. Thanks for your support, The Pex and Moles Team. Code Digger for Visual Studio 2012 and 2013 is a lightweight version of Pex that allows you to explore public .NET methods in Portable Class Libraries directly from the code editor. 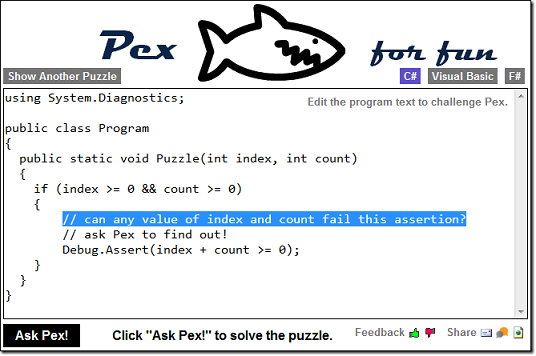 Under the hood, Code Digger uses the Pex engine. Pex and Moles are Visual Studio 2010 Power Tools that help Unit Testing .NET applications. Pex automatically generates test suites with high code coverage. Right from the Visual Studio code editor, Pex finds interesting input-output values of your methods, which you can save as a small test suite with high code coverage. Microsoft Pex is a Visual Studio add-in for testing .NET Framework applications. Moles allows to replace any .NET method with a delegate. The Fakes Framework in Visual Studio 2012 is the next generation of Moles & Stubs, and will eventually replace it. Moles supports unit testing by providing isolation by way of detours and stubs. The Moles framework is provided with Pex, or can be installed by itself as a Microsoft Visual Studio add-in. Pex for fun on the web is a radically simplified version of the fully featured Pex Power Tool for Visual Studio. You do not need to install anything; all the work happens in the cloud. You can write code in C#, Visual Basic, or F#. Go to www.pexforfun.com, which comes with a set of code puzzles. Then click on the “Ask Pex!” button to get the answer yourself. Share your puzzles with your friends. Click Learn to start tutorials. April 1, 2010: Didier Caron uses Moles and Pex to test a Twitter connector. February 17, 2010: Jason Bock unveils the AutoPex project on CodePlex. February 8, 2010: Pex is demoed at the plenary session in TechDays Paris! 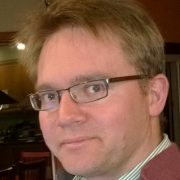 December 15, 2009: Interview with Jeffrey Van Gogh on how the Reactive Extensions use Pex for testing. November 12, 2009: Abdulla AbdelHaq talks to the Jordan .NET User Group: PEX – Let me fix your code for you (in Arabic). November 11, 2009: Eric Nelson: Did you know Microsoft makes a mocking tool? And TechEd Europe 2009 Highlights and Lowlights. October 19, 2009: Yauhen Safrankou shows how to build a custom test naming convention. October 12, 2009: Nikolai Tillmann and Peli de Halleux demoed Pex on DNR! TV. October 4, 2009: Andrew Kazyrevich compares the mock frameworks for .NET, including Moles. October 1, 2009: Jason Bock publishes his What Will Pex do? materials. Your post is not in the list? Drop us a link.